Some toys are crafted so beautifully it takes your breath away. 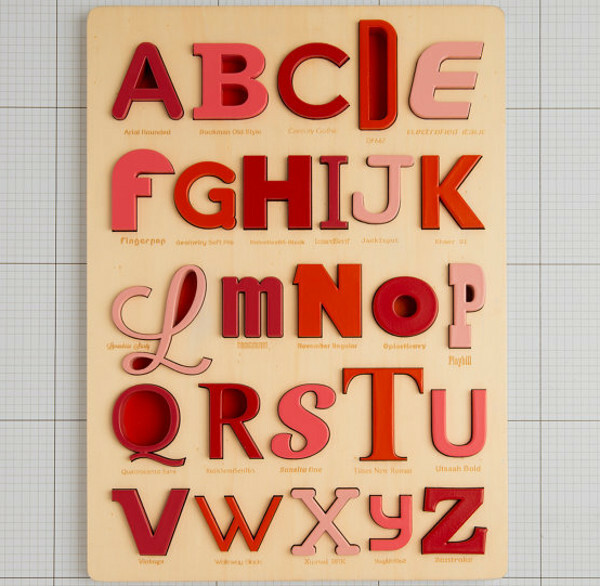 These Font Alphabet Puzzles by Loodus are exquisitely designed and a perfect way for little ones to learn about letters. 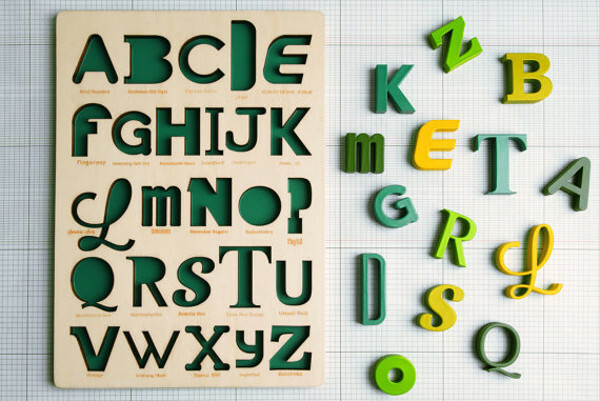 Alphabet puzzles are nothing new, but these wonderfully original puzzles incorporate modern art and style. Loodus marries new technology with old-fashioned craft, putting a contemporary spin on the classic wooden puzzle. 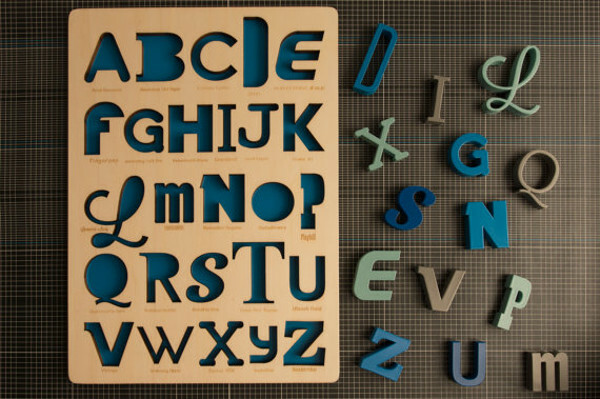 Each Font Alphabet Puzzle is laser-cut and hand-finished in Trivero, Italy. Plywood used to make Loodus puzzles is sourced from Forestal Stewardship Council certified poplar. 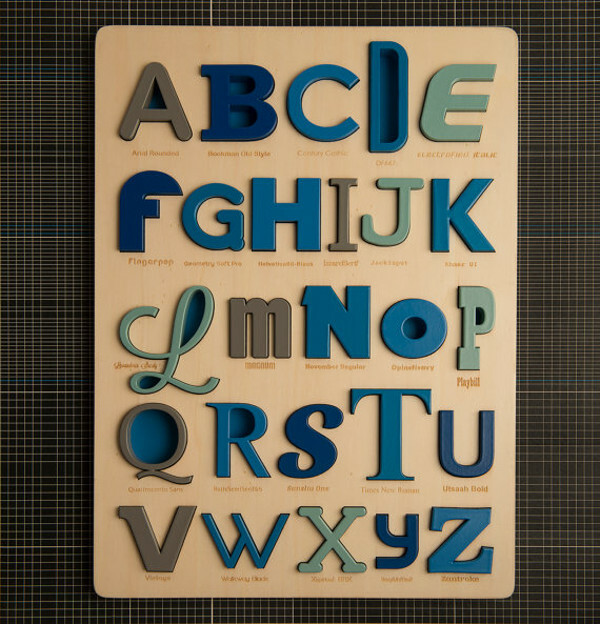 Each puzzle piece is designed from a different font and the result is a collection of gorgeous looking letters. Chose from a range of green, blue and red. Price-wise, these puzzles are way above the average. You may baulk at paying around $285 for a puzzle, but keep in mind that they double as precious keepsakes. Just don’t lose any of the pieces! Loodus alphabet puzzles are sold on Etsy and shipping is available worldwide. Check our previous posts for more alphabet puzzles and books.